Ahle hadeeth means the follower of Hadeeth. Ahlur Rai means the follower of Rai (human wisdom). Those who seek solutions of all problems of life on the basis of the holy Quran and saheeh Hadeeth are known as Ahle hadeeth.On the other hand… those who take solutions of the problems of life from Fiqhi Usool i.e. the formulas of practical laws made by any earlier scholar, they, according to Shah Waliullah, are known as Ahlur Rai. They do not seek Hadeeth of the Prophet (sallallahu alaihi wasallam) and Athar of Sahaba in making solutions to any problem, rather they try to solve it by making comparison with any Fiqhi decision or any Fiqhi principle given by an earlier Mujtahid Faqeeh and bring out its various branches and sub-branches with the help of Qias i.e. analogical method. 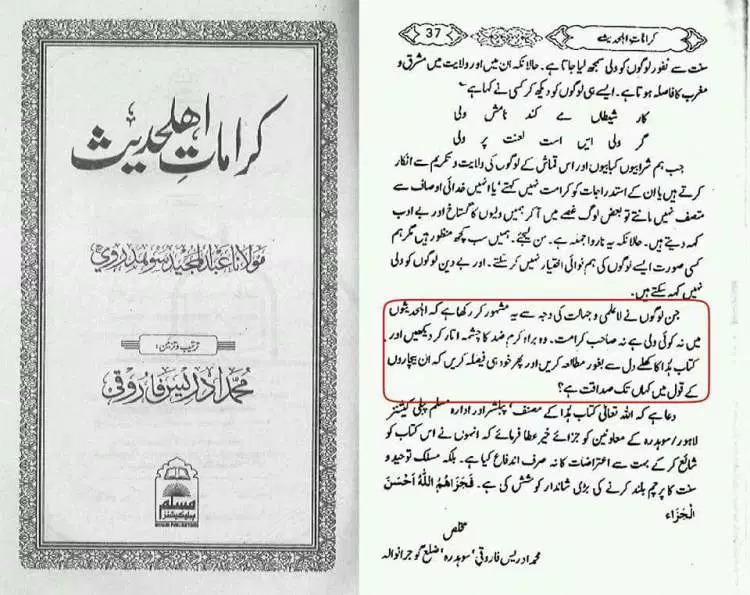 Our Comment: This is a big lie from the La-Madhabi’s part that he says Ahlur Rai never use Hadith nor athar but just qiyas, the more bigger lie is that this statement is falsely attributed to a great scholar like Shah Waliullah Muhaddith Dehlwi (rahimahullah), such fake claim only proves that the la-Madhabi’s are deceivers and nothing else!. RESPONSE: In Reality, Shah Waliullah (rahimahullah) describes exactly the opposite of what the misguided la-madhabi has claimed. Shah Waliullah (rahmatullah alayh) is among the greatest Muhadditheen of the Ummat. He is the Musnidul Hind i.e. all the Sanads of Hadeeth in the sub-continent pass through him. To lend weight to their cause, the Ghair Muqallids of Hind claim that Shah Saahib was like them. This is a common ploy of these types. In this way they try to mislead simple-minded Muslims. And listen! Those of you who are not linked to the Ulama are at risk of being misled by these chancers – Anyhow, to set it straight, in Hujjatullaahul Baalighah, he has written on the topic in great detail. 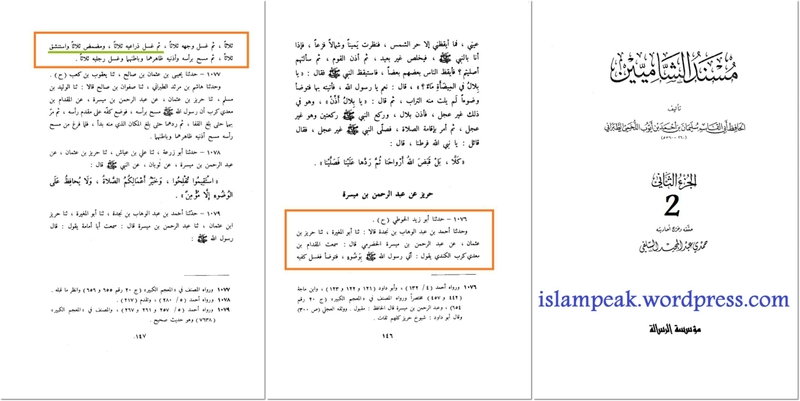 He wrote about the two schools: the “Ahlur Ra’i” and the “Ahlul Hadeeth” and who they are. The Imaams of the ‘Ahlur Rai’ are Imaam Sha’bi, Ibraaheem Nakha’ee, Auzaa’ee, Ibn Abi Laila, Shubrumah, Abu Hanifah and his students (rahimahumullah). The Imaams of the Ashaabul Hadeeth are The 7 Fuqahaa of Madeenah, Imaam Maalik, Shaafi’ee, Ahmad, Sufyaan Thauree, Ibn Mubaarak (rahimahumullah) etc. 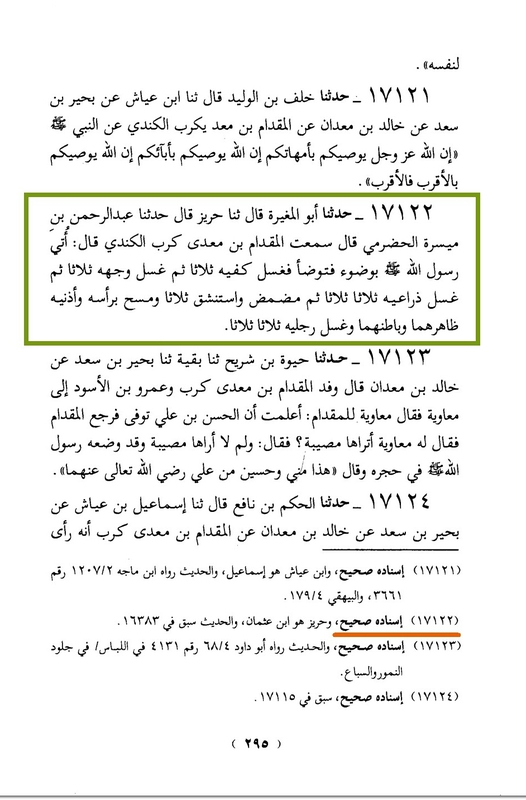 The Fiqh of the Ahlur Rai was then codified by Imaam Abu Hanifah (rahimahullah). After this there was no great Ikhtilaaf among this group. The Ashaabul Hadeeth had many differences in their Fiqh among themselves. Several Madhabs originated among them. With the passage of time, these Madhabs then evolved and were incorporated into three. In this way, four Madhabs were codified and accepted. These four Madhaahib in turn encompassed all the Ilm of the Aimmah and the various Fataawah (Rulings) of the Sahaabah. Taqleed of the four Imaams was then unanimously accepted by the ’Ijmaa of the Ummat. There is great wisdom and protection in this Taqleed. In another Kitaab, ‘Al Aqdul Jayyid’, he has dealt with this subject in detail. Salafiyyat – A deception: In more recent times, these Ghair Muqallids have taken on a new name i.e. ‘Salafi’. So they have presented the same old thing in a new guise. Many fresh and free youngsters have fallen into their trap and the group suddenly gained a fresh wind – and, as with most deviant groups, the bulk of their followers are ignorant masses. The common layman cannot understand the finer details of Usool Ad Deen (the principles of Deen). Anything presented to him will be swallowed. This is because he cannot judge these things in the light of Ilm due to lack of it. This is how falsehood spreads among the So these are two paths in front of us; One is a new way, invented by ‘enlightened mushrooms’ of this belated age – the other is an attested path, laid down by men who were oceans of Ilm and mountains of Taqwa. The ‘Muqallideen’ are the followers of the Aslaaf (pious predecessors) and are thus the true “Salafis”. The Ghair Muqallid crowd are on a path of their own. They have opposed the Aslaaf at every turn. They have hijacked the term Salafi in a most deceptive way – And a strange world it is. Understanding Qur’an and Hadeeth correctly is not the work of every doctor, professor and cabbage farmer! This is a very deep and specialized field. There is no shortcut in this path. And it is impossible to lay claim to Itaa’at (obedience) of Allaah and His Rasul (sallallaahu alayhi wasallam) without following the great Aimmah of the past. According to Imaam Shaafi’ee and Ahmad (rahimahumullah), it means to say the words of Iqaamat once each, but ‘Qad Qaamatis Salaat’ will be said twice. (the Takbeers will be said twice). According to Imaam Maalik (rahimahullah) even ‘Qad Qaamah’ will be said once. Imaam Abu Haneefah (rahimahullah) says the meaning of the Hadeeth is to say every set of words in one breath. The further Daleel (proof) is the Riwaayat (narrations) in Abu Dawood reported by Abu Mahdhoorah who was appointed as Muadhin in Makkah. He says that Nabi (sallallaahu alayhi wasallam) taught him to say the Iqaamah in 17 sentences. The Hanafis thus practice upon both Ahaadeeth in this way. The other thing is that the other A’immah, according to their prescribed method of Iqaamah are not practicing on the first Hadeeth either because the Takbeer and Qad-Qaamah are both said twice. This is how differences in understanding Nass come about. Some of the Imaams practice on ‘Asahhu maa fil Baab’ the most Saheeh Hadeeth in the chapter. Imaam Abu Haneefah’s method is of Tatbeeq and Jama’ (reconciling Ahaadeeth and practicing upon all the Ahaadeeth in question). Sunnah and the true Salafis i.e. one of the four Madhabs or else you have the option of following these self-styled scholars who reject the Aathaar of Sahaabah and the Ijmaa’ of the believers. One group claimed to be Ahle Qur’an. This term is deceptive. They are not people of Qur’an. We are the people of Qur’an. They are a group who reject Hadeeth and Ijmaa’ while claiming to follow Qur’an. Similar is the case of the Ahle Hadeeth. We are the followers of Hadeeth. They claim to accept Qur’aan and Hadeeth while rejecting the Aathaar and Ijmaa’ of Sahaabah. It does not mean that they follow Hadeeth while we follow our Imaams and not Hadeeth. Go and have a look in the Islamic Libraries! The Imaams, their Ustaads and their students have authored all the major Kitaabs on Hadeeth. Let the Ghair Muqallids present any reputable work on Hadeeth! The entire treasury of Hadeeth that is before the Ummat today is the fruit of the toil of the Muqallideen. These fellows then came along and either plagiarized the works of others or added their unwanted side notes and useless commentaries on the great works of the Ulamaa. The Ghair Muqallid/ Salafi/ Ahle Hadeeth are sects who accept Qur’an and Hadeeth only. They do not accept the Ijmaa’ of the Sahaabah nor the Ijmaa’ of the Ahlus Sunnah. They will not admit this directly, but have a look at their Madhab – it will shine forth brighter than daylight. Exactly the same is the case of the confounded Qadiyani sect. They will never negate the Khatme Nabuwwah openly. 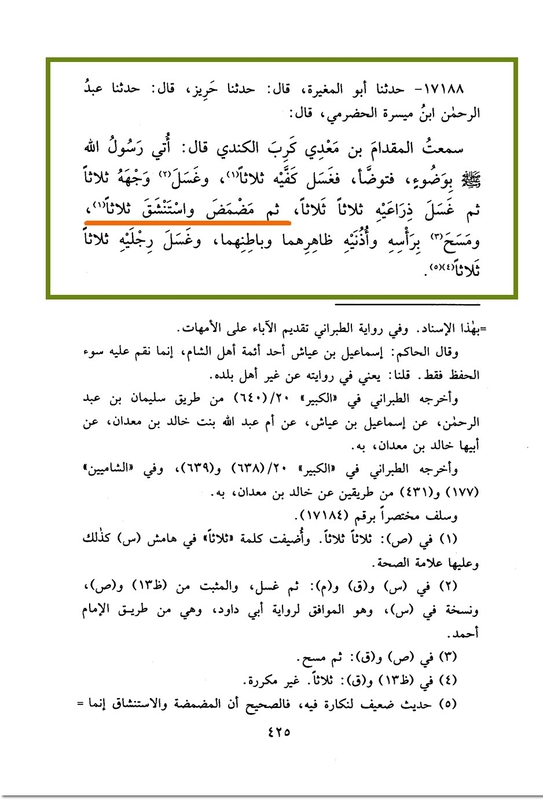 They say Muhammad (sallallaahu alayhi wasallam) is Khaatamul Ambiyaa – then they say Ghulaam Ahmad is also a Rasul! So they invent their own concept of Khatme Nabuwwat. Neither here nor there. Just like all the others… Again have a look at their works. We are the Ahlus Sunnah wal Jamaa’ah. Remember this! We follow the path of Prophet Muhammad (sallallaahu alayhi wasallam) and His companions – the way of the Khulafaa e rashideen. This encompasses all that is in the Qur’an and Hadeeth in the most complete way. This way was handed down to us by our Imaams who were the safe guarders and trustees of the Ilm of Nabuwwah. We follow the Qur’an, the Rasul and the path of the Mu’mineen. One group claimed to be Ahle Qur’an. This term is deceptive. They are not people of Qur’an. We are the people of Qur’an. They are a group who reject Hadeeth and Ijmaa’ while claiming to follow Qur’aan. ( The Sufi Gaze !!! Furthermore, the son of Nuh ( ﻋﻠﻴﻪ ﺍﻟﺴﻼﻡ ) and the father of Ibraheem ( ﻋﻠﻴﻪ ﺍﻟﺴﻼﻡ ) were within sight of these great Prophets, but they were unable to guide them. La-Madhhabi’s prove by posting such silly allegation that they are truely morons. They’re denying the validity of karaamat of such pious servants of Allah. The Karaamaat of the Auliya are the Haqq. Rasulullah (Sallallahu alayhi wasallam) had performed thousands of Mu’jizaat. embrace Islam is because Allah Ta’ala had decreed kufr for him. No Tawajjuh, no Mu’jizah and no Karaamat can change Allah’s Taqdeer. persons for whom Allah Ta’ala had ordained Imaan and khair. Whilst they changed certain people with Tawajjuh, their Tawajjuh could not change thousands of others for whom Hidaayat was not ordained. moronic. Auliya had even flown in the air and transformed stones into gold. This cannot be denied on the basis that Rasulullah (Sallallahu alayhi wasallam) did not effect such specific miraculous acts. 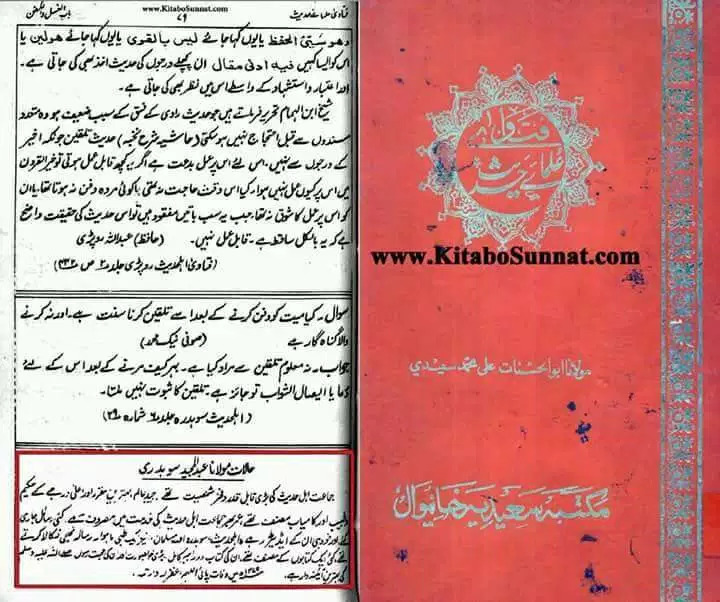 The La-Madhhabis pick statements of the events of Karaamaats and Kashf’ of Auliya from the treatises of Ulama e Haqq and label it as the beliefs of Ulama e Deoband and make insults of the pious Auliya of this ummat, their ‘ulama have compiled many treatises against karaamats and Kashf, especially against the book Fadha’il e A’maal. 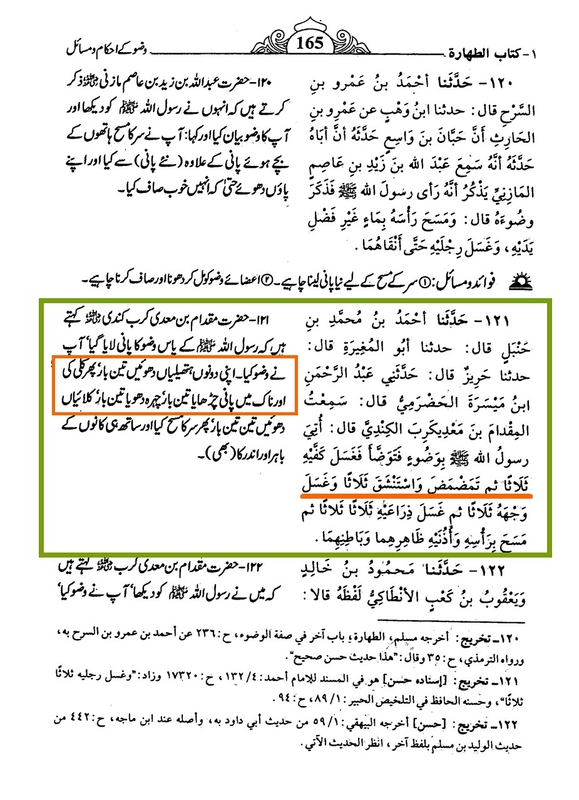 They narrate the events of Auliya from our books and claim that these are the beliefs of Ulama e Deoband and make slanderous conclusion that beliefs of both Deobandis and Ahle Shirk (Barelwi’s) are one and the same. Usually one could observe from the articles, lectures of the La-Madhhabi Jahils that they always make the treatises of others as their primary targets for slandering and thereby, deceiving laypersons by mis-representing the views of Ulama e Haqq but they themselves don’t bother to have a look at their own book written by their La-Madhhabi scholars, till today we have never viewed any such posts from La-Madhhabi blogs like gift2deobandis.com or Tawhidmovement.com etc etc extracting statements from the treatises containing the episodes of the kashf and Karaamaat of their own scholars of Ahle Hadith and thereby criticizing or insulting by presenting them as being the “Aqaai’d” of their own scholars, This exposes their double standards and cheap tactics to deceive the masses. They serve criticism for other scholars while hiding their own treatises compiled by their own scholars about the same events of Sufi Gaze and so on! If they’re not deceivers then we don’t know who they are! In this piece of truth, we’ll discuss about one such book which the deceivers from the Ahle Hadith hide it from all of us. 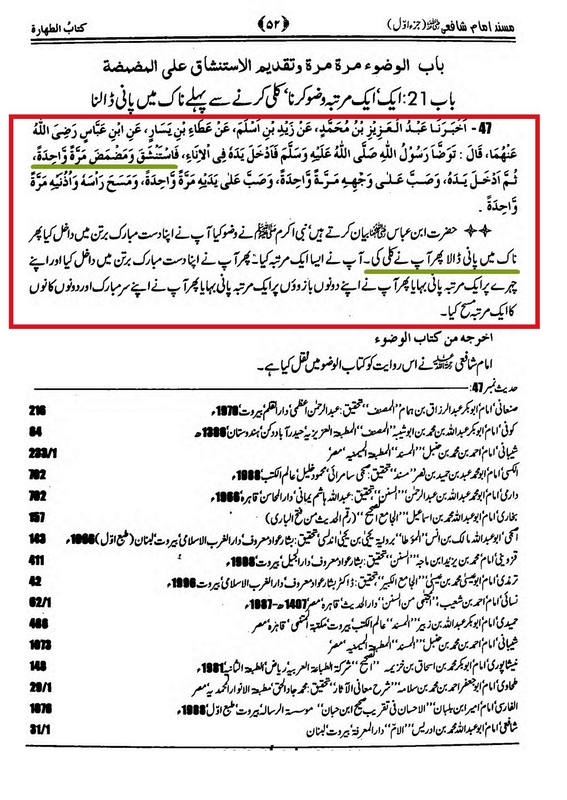 With these statements of Maulana Muhammad Idrees Saheb, we understand that fabricated karaamaats or narrating karaamaat which goes against Qur’an wa Hadith is sinful, neither such karaamaats will be written down in this book (i.e Karaamaat e Ahle Hadith) nor will be narrated in pulpits of Masaajids, narrating fake karaamaats are prohibited. 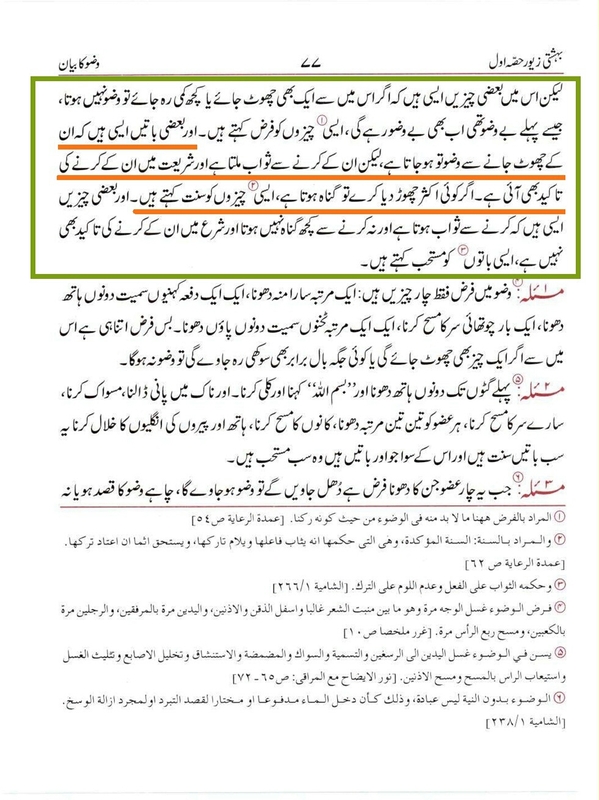 So this again confirms that Maulana Idrees Sahab has never written down any reports of false karaamaats which goes against Qur’an wa Hadith in his book. So, the Karaamaats mentioned in this book are true and all in all exclusively related to the karaamaats of the shaykhs of Ahle Hadith sect! JUST ONE GAZE TRANSFORMED A DRUG-ADDICT BEGGAR INTO AN AALIM AND SUFI! Maulana Saheb asked: “You need something more? ?” And just when Maulana’s sight met the sight of the beggar, he started to shiver and fell down. And he fell down in such a way that he lost his consciousness, the students proceeded to grab hold of him , he was unconscious like as if he is dead. 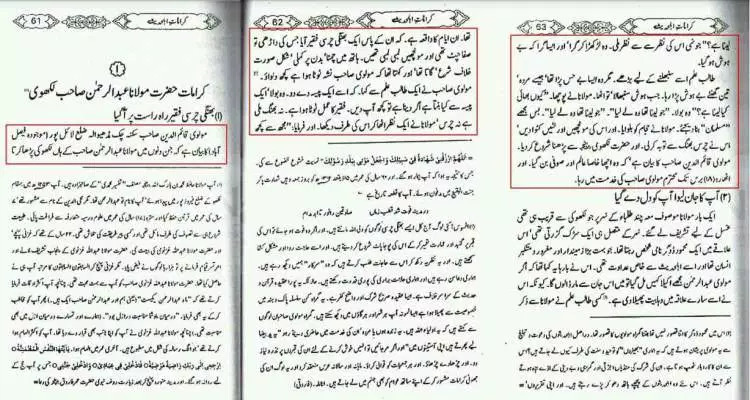 If the same kind of incidents are quoted in our books, the answer and clarification for it is as the same as what the author of this very book Karaamaat e Ahle Hadith has given for such incidents of Pious people (which i quoted above), we accept that such incidents are related to Kashf and Ilhaam and Karamaat of the saints . But these la-Madhhabi’s who do taqleed of blogs like gift2deobandis.com or people like Meraj Rabbani ,who have gone so astray that they deny true karaamaats which, in reality is Haqq according to their own book! Indeed, these people are imitators of the Jews, while the Jews had doubts on their own Prophets and they killed them,the La-Madhabi’s have doubts upon the miracles of the Auliya’s of Islam! And they keep bashing our scholars without Haqq. 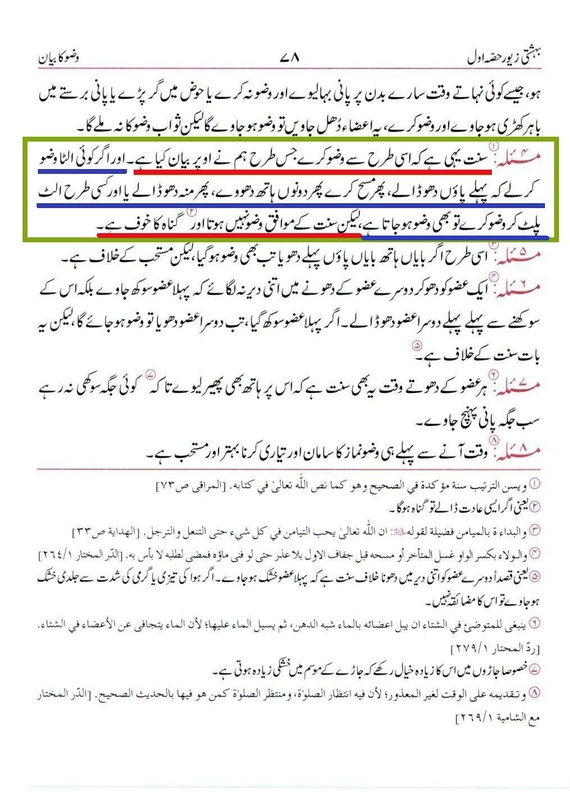 Had this events been narrated by any scholar of Deoband, then these la-Madhhabi sect bloggers (a.k.a deceivers) would’ve made a big fuss of it with the intent of deceiving laypersons as they have made an attempt with the statements of the book Mashaaikh e chist. May Allah Ta’ala save all of us from the lies and deceptions of such people and their misleading sects . Aameen! 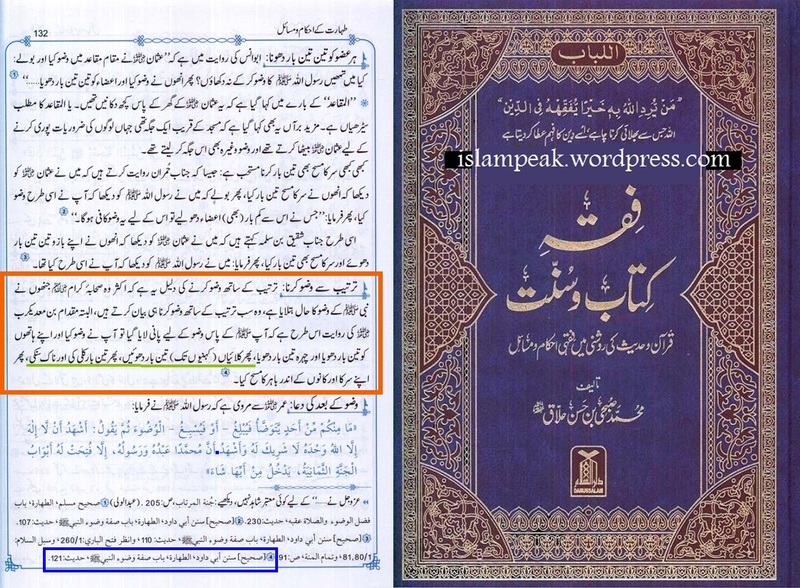 Did Haji Imdadullah Al-Makki (rahimahullah) Create a “Deobandi Recipe On How To Become Allah”?? “And what these (deobandis) interested in? To make Allah!!! He, Imdaadullah says: And after this he should be engrossed in Dhikr “Hoo Hoo” so much so that the one doing Dhikr becomes the Mazkoor i.e. Allah himself.” (End of verbatim translation of the Salafi atrocity of stupidity). ANSWER: Let us momentarily forget what Hadhrat Haji Imdadullah (rahmatullah alayh) wrote in his kitaab, kulliyat e imdadia. Let us see what Rasulullah (sallallahu alayhi wasallam) himself said about the Thaakir (the one who makes thikr) and Mathkoor (the One whose thikr is made, i.e. Allah Azza Wa Jal). The concept of the Thaakir ‘becoming Mathkoor’, is fully within the confines of the Qur’aan and Sunnah. It is endorsed in the following Hadith-e-Qudsi. Similarly, as Hadhrat Thaanvi (rahimahullah) has elucidated, in the second Hadith (above) Allah Ta’ala explicitly states that He becomes the ears, eyes, heart, hands and feet of His devotee, and that it is He who is doing all the actions emanating from His devotee. Despite this unification expressed in the Hadith, there is no real or actual unification or hulool of Allah Ta’ala into the person or into any of His creation. The extreme and lofty level of Divine Proximity which the devotee is bestowed with by virtue of his love and obedience for Allah Ta’ala, is in fact the meaning of Hajji Imdaadullah’s (rahimahullah) statement which the moron Salafis fail to understand due to their spiritual barrenness and moral depravity. It means nothing else other than to signify obliviousness of self and permeation with Allah’s Remembrance. The true thaakir becomes an embodiment of Divine Remembrance, and that is all what Haaji Imdaadullah’s (rahmatullah alayh) statement means, but which morons and deviates distort and kick up a lot of stinking dust. It does not refer to the kufr concept of hulool or incarnation or of Allah’s pervasion in insaan or in any aspect of His creation. Likewise, in the third Hadith, Allah Ta’ala attributes the devotee’s sickness to Himself, saying that He was sick, and He was hungry and He was thirsty. Any Muslim in possession of some brains not deranged by stupidity and Salafi deviation, will understand that these are metaphorical expressions denoting the lofty state of Divine Proximity (Qurb-e-Ilaahi) and Divine Acceptance (Maqbooliyat) which the devotee enjoys. It is this metaphorical ‘unity’ which is termed Wahdatul Wujood of the Sufiya-e-Kiraam, which the spiritually barren baboons of crass materialism have interpreted to mean divine hulool/incarnation/pervasion, but such conception of kufr did not dawn in the pure Souls of the Auliya of Allah Azza Wa Jal. Now the deviate moron Salafis are free to accuse Rasulullah (sallallahu alayhi wasallam) of having uttered ‘shirk’ since he ‘equated’ Allah Ta’ala with created man. He said that Allah Ta’ala becomes the heart, mind, eyes, ears and limbs of created man. In otherwords, man has become Allah – Nauthubillaah! But in terms of Salafi moronic logic, this is the logical conclusion of applying literal connotations to figurative expressions. The thaakir becoming Mathkoor is a figurative expression to convey total absorption in Divine Remembrance resulting in the state of self-obliviousness. It means nothing else. Do the Deobandi Ulama Approve of Such Disrespect of the Qur’an that Which the Ghair-Muqallid Jaahil of gift2Deobandis.com alleges?? 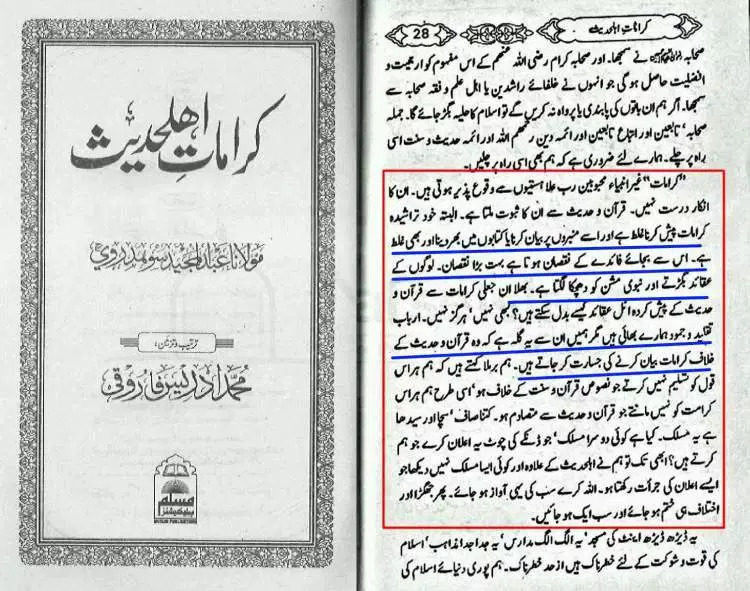 The Jaahil is not the first deceiver to proclaim Hadhrat Maulana Ashraf Ali Thanvi (rahmatullah alayh) as an ‘insulter’. 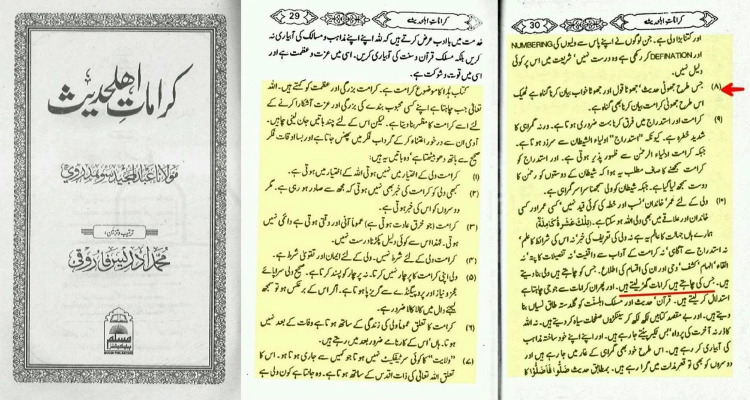 Whilst the Qabar Pujaaris (Grave Worshippers) label Hadhrat an ‘insulter’ for his strident criticism of their grave-worshipping stunts and other bid’ah activities, The Munkar e Fiqah of the moronic ilk clutch at the straw of this one single Ta’weez prescription mentioned in A’maal-e-Qur’aani. Besides the jaahil’s ‘fatwa of Insulter’ being hilariously stupid, it displays his appalling ignorance of the Shariah. 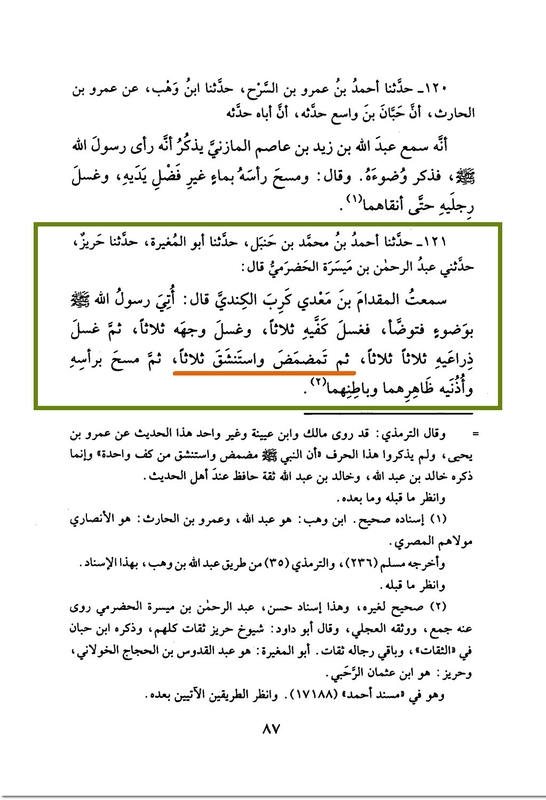 Before proclaiming Hadhrat Thanvi (rahmatullah alayh) an ‘insulter of Qur’anic verses’ on the stupid basis of the misconception of the Ta’weez around the thigh being an act of insult, the accuser should supposed to have checked the kutub of the Shariah to ascertain what the other primary Imaams, viz. Shaikh Ibn Taimiyyah, and Hadhrat Imaam Ahmad Bin Hanbal (rahmatullah alayh), and the many other authorities of the Shariah have to say on the type of Ta’weez which constitutes the basis for the moron’s ‘fatwa’ of jahaalat – his ‘fatwa of insulter’ against Hakimul Ummat Hadhrat Maulana Ashraf Ali Thanvi (rahmatullah alayh). Let us first, with Shaikh Ibn Taimiyyah’s fatwa, dispel the moronic-haze which shrouds the brains of the Jaahil. “It is permissible to write from Kitaabullah (the Qur’aan Majeed) and His Thikr with permissible ink something for the benefit of one stricken (with a problem) and for sick persons, and to wash (what has been written from the Qur’aan) and to give it to them (the stricken and the sick) to drink as Imaam Ahmad and others have explicitly said. Whilst Hadhrat Maulana Thanvi (rahmatullah alayh) prescribed a Ta’weez sewn securely in a cloth to be tied around the thigh of the lady suffering birth pangs, the Sahaabah, Taabi-een, Tab-e-Taabieen, Imaam Ahmad Bin Hanbal (rahmatullah alayh), Shaikh Ibn Taimiyyah (rahimahullah) and all the Fuqaha and Auliya of Islam prescribed water on which Qur’aanic verses are recited to be sprinkled on the genital organ of the woman. Now whose so-called ‘insult’ is greater?? The ‘insult’ of Hadhrat Thaanvi or the ‘insult’ of the galaxy of illustrious personalities mentioned above?? What is ‘worse’ – the thigh or the genital organ?? Whilst Hadhrat Thanvi’s Ta’weez containing the mubaarak Qur’aanic verse is applied to only the thigh, the water on which the mubaarak verses are recited are applied to both the thigh and the genital organ in terms of the prescription of the illustrious personalities mentioned above. 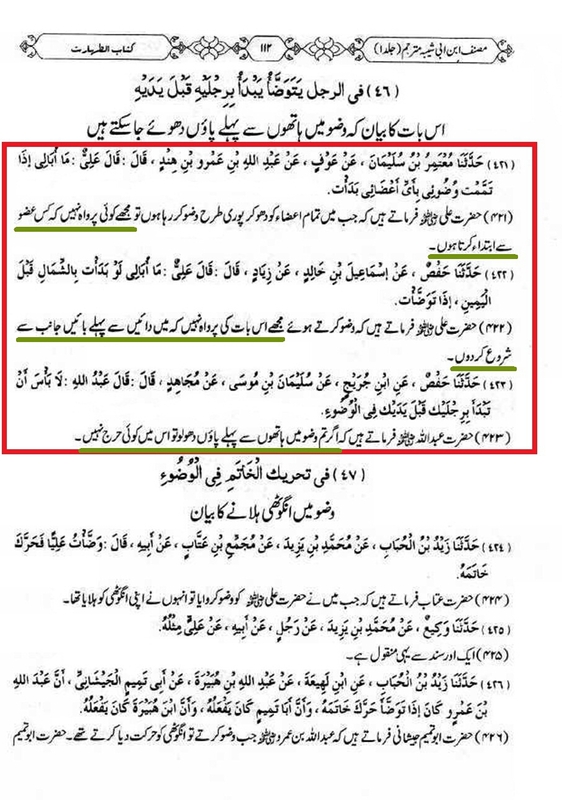 Will the jaahil Ghair Muqallid now apply his fatwa of ‘insult’ to even Hadhrat Ibn Abbaas (radhiyallahu anhu) and to even Rasulullah (salallahu alayhi wasallam)?? There is the need for the moron to proclaim all of the Salaf-e-Saaliheen ‘Insulters’ before even the slightest attention could be afforded to his branding of Hadhrat Maulana Ashraf Ali Thanvi (rahmatullah alayh). His argument is bereft of even an iota of Shar’i substance. 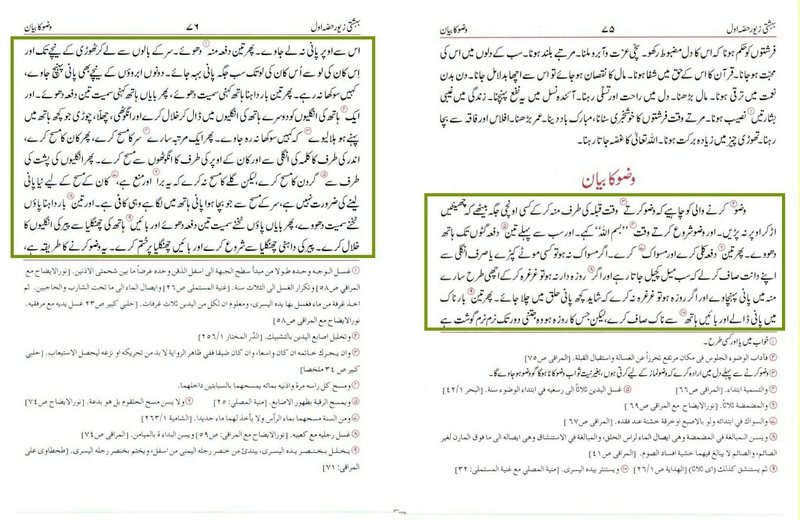 Hadhrat Thanvi’s Beheshti Zewar is indispensable for laymen. It is the ‘Scholar’ which resides or should reside in the home of every follower of the Hanafi Math-hab. 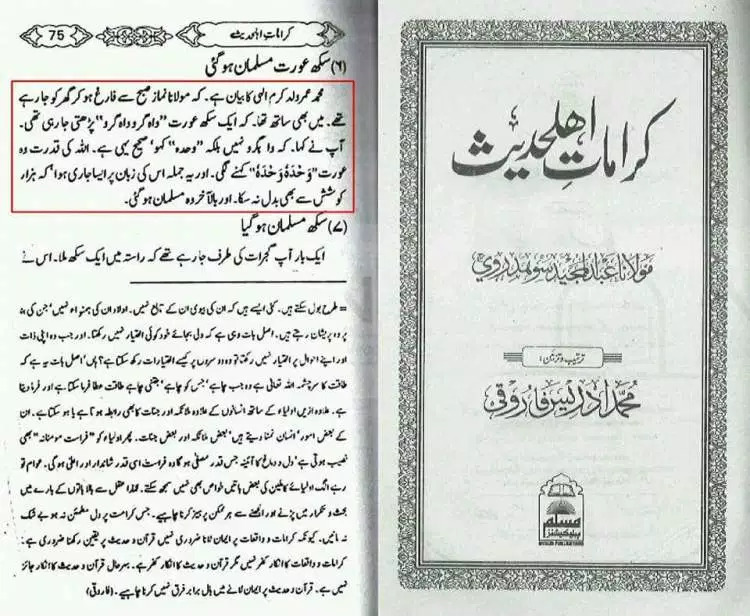 A’maal-e-Qur’aani is an extremely beneficial kitaab. Every prescription in this kitaab is fully in accord with the Shariah regardless of how much the jaahil and the deviant Ghair-Muqallideens howl and disgorge their epithets of insult.